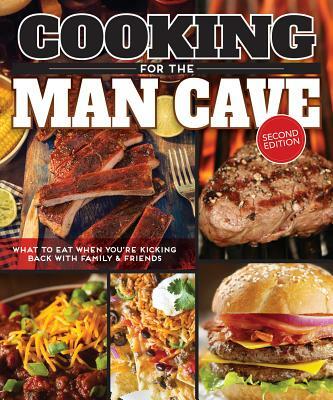 Cooking For The Man Cave 2nd Edition, ISBN: 9781565238923 - available from Nationwide Book Distributors Ltd NZ. There are times when a guy actually likes to cook-times like tailgating parties, hunting trips, clambakes, and whenever beer is involved! If you're looking for recipes for these "special" occasions, you'll find plenty of great options in this testosterone-laden cookbook. From barbecue sauces to meat-n-potatoes to beer and beyond-you'll find over 100 crowd-pleasing recipes for grilling, smoking, frying and more. Cook it your way, with bold flavors and easy guy-friendly recipes. Discover the secrets of camp cooking in foil packs. Find out what to do with that big fish you caught. Get creative recipes for sauces, rubs and other seasonings. Use your cooler the right way to keep food fresh and organized at the game. And learn what else to put in a turkey fryer, besides turkeys! Whether out in the backyard, camping in the woods, or partying behind the stadium-this book is sure to whet your appetite and fire up your culinary imagination.